Who wants to go on a spontaneous travel date with us?! Not too long ago, we brought you on a tour of a few of our amazing florist partners’ shops. Today, we’re visiting a few more from Maryland down to Florida. Although they all specialize in floral arrangements, it’s surprising how differently all of our partners choose to decorate their shops. Grab your bags and walking shoes, and follow along for our tour through the Bloompop florist community. 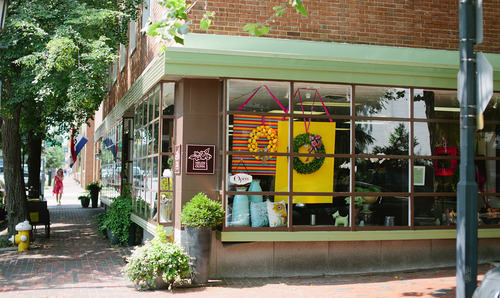 You’ll get to check out their shops and learn more about them along the way. 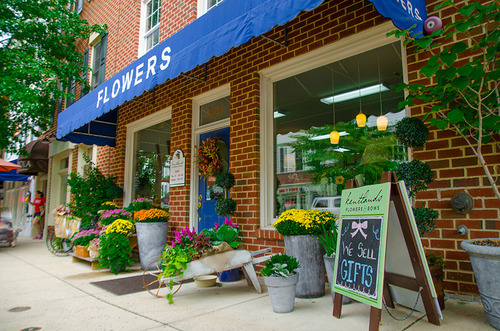 Kentlands Flowers & Bows in Gaithersburg, MD | Our first stop today is a family-owned floral shop in the Kentlands area of Gaithersburg, MD. We love the friendly and welcoming look that their brick and blue awning exterior provides. When it’s not too chilly, you’ll see a selection of bright, cut flowers outside ready for you to fall in love with. 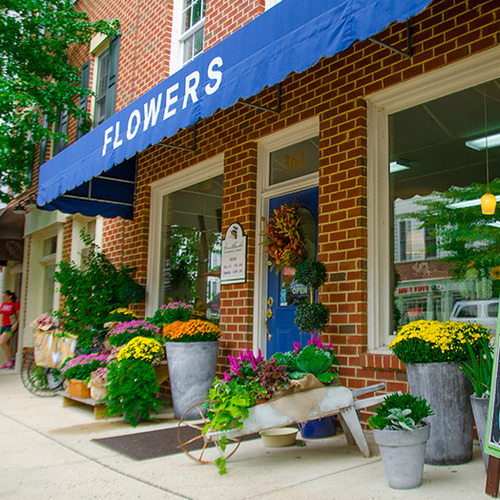 Helen Olivia Flowers in Alexandria, VA | This lovely floral shop on the corner of Cameron and North Pitt Street in Old Town Alexandria has charm like no other. Floral designer Marianne Raub and managing partner Craig Noah opened their shop in 2005 and since then, elegant and creative arrangements have been traveling out their door to satisfied customers. Let’s take a slight detour: a look into the studio here! 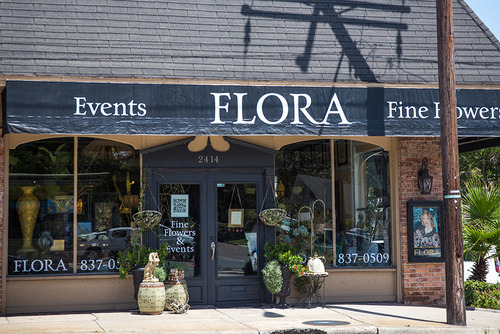 FLORA Fine Flowers and Events in Tampa, FL | Our last stop today is in sunny Florida! This boutique floral shop was inspired by a visit to Florence and a Botticelli painting. According to their website, FLORA’s soul is a combination of old world romance, elegance, and opulence seasoned with 21st century sophistication. We couldn’t agree more!